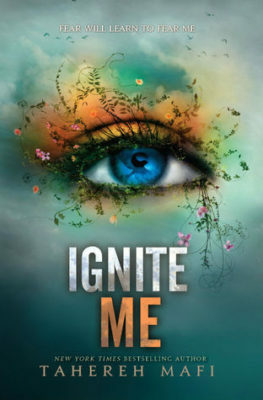 What happened in Restore Me by Tahereh Mafi? Full recap. 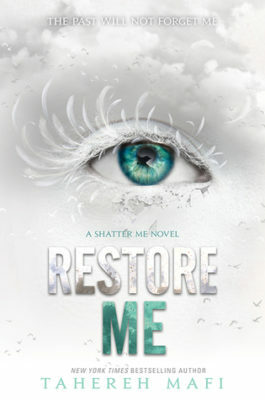 Read a full summary of Restore Me by Tahereh Mafi now! This page is full of spoilers so beware. If you are wondering what happened in Restore Me, then you are in the right place! What happened in Restore Me? It is 16 days since Juliette killed Anderson and declared herself Supreme Commander of North America. Warner is still largely running Sector 45 with the help of his grandfather, Delalieu. He is also trying to get to know Juliette’s friends. Castle is strategizing, and on his advice, Juliette has invited the Supreme Commanders of the other landmasses to a conference. Only Eurasia has accepted. Castle tells Juliette he is concerned with the wording on the acceptance which suggests they already know the person they are coming to see. He says he did not expect any of the Commanders to accept. Delalieu seems to have been the conduit that the invites were issued through. He tells Warner that the Supreme Commanders will not speak to Juliette until they have spoken to Warner. Except for Ibrahim, Supreme Commander of Eurasia, whose children are already en route. It is revealed in Warner’s thoughts that his father and the other leaders were all friends for many years. He hung out with the other leaders’ children and knows them well. He is not happy that they are coming. He wonders what they will tell Juliette about his past. Meanwhile, Juliette remembers that Anderson asked if Warner told her what he had to do to become the commander of Sector 45. He said Warner should tell her himself. Castle also said there were things Warner should tell Juliette about himself. Kenji tells Juliette that he and Castle kept extensive files on Anderson and Warner and that she doesn’t really know Warner’s past. Juliette admits to Kenji and to herself that she doesn’t really know how to lead. She is drowning in paperwork and red tape from all of the North American Sectors, of which there are 555. Everyone sends in a report each day, plus other requests. Juliette didn’t even finish High School. Adam approaches Warner. He is messed up by grieving his father despite the abuse. Warner admits he feels the same. Adam has not told James that Warner is his brother because he lied to him about his parents. He did not know Anderson and thinks his parents died in a plane crash. Adam admits that he thought if Warner found out they were brothers, he would try to kill him. He was worried if he died, James would die too. He took the stress out on Juliette and now feels he deserved her anger. Warner cannot read Adam’s emotions the way he can other people. It throws him off stride. Kenji tells Juliette that when he was seven, someone used his dad’s gun on him and Kenji’s mom in a race-related killing. Kenji witnessed it. He was put in an orphanage. When Castle found him he, was eight years old and living on the street. Haider Ibrahim, son of the Supreme Commander of Eurasia arrives. Against Castle’s advice, Juliette goes in alone to see him. Meanwhile, Warner is making aerial rounds of the sector and thinking about his childhood. When he was sixteen Anderson and his friends agreed that their children would shoot each other. Not to kill, but to disable, so they could learn what a bullet felt like. Warner was faster and shot all the other children. Anderson was proud, Warner vomited. He doesn’t want to tell Juliette stories like these. Castle catches Warner and tells him Haider is here. He doesn’t go into the room as he doesn’t want to undermine Juliette. Castle tells Warner there is a secret about Juliette and her parentage. Haider seems a little taken aback by how small and young Juliette is. He invites himself for dinner. Warner tells Juliette and Kenji that Haider is arrogant but insecure, and an ace sniper. He says he’d be more worried if Haider’s sister came. He says the sister is quiet and a flighty thinker who he can’t get a read on. At dinner, Haider’s sister, Nazeera, joins them. Nazeera is wearing a headscarf which shocks Warner as this is a leftover of a banned religion. It is considered an act of rebellion. Kenji pursues the subject asking how a Supreme Commander’s daughter can break this law. Nazeera says she doesn’t care and she leaves the room. Haider is embarrassed by her behavior and also leaves. Kenji and Juliette are talking in the corridor afterward when Nazeera appears and says she is lost. Juliette directs her, Kenji tries to apologize but makes Nazeera more angry. Nazeera goes. Kenji admits he has the hots for Nazeera. Next day, Haider, Nazeera, and Warner join Juliette and Kenji on their walkabout. Haider says that he and Nazeera will attend the North American Continental Symposium which is in two days. He asks if Juliette will attend as Anderson never did. Warner tries to cover for Juliette’s ignorance, but Haider explains that it is meeting of all the Sector leaders in that continent. Juliette says she will be attending. Haider asks Warner to speak to him alone. In Arabic, Haider accuses Warner of turning his back on them for the sake of a girl. He grabs Warner, and Juliette intervenes, furious. Warner has the impression that Haider and the other children are there to scope out the situation and that the other Supremes are not taking her seriously. Warner and Haider return to base. Nazeera wants to wander round base. Kenji offers to show her around leaving Juliette alone. She is messing round turning her powers on and off when she is shot in the back. She collapses. She sees birds and believes the bullet is poisoned. Nazeera appears. She kills the assassin and rushes Juliette to medical help. Warner arrives at the medical wing and accuses Nazeera of arranging the assassination attempt. Juliette comes round and tells him Nazeera saved her. Castle speaks to Warner. He tells him that the Re-establishment call the gifted people Unnaturals. Juliette had her name changed and was adopted. She has an older sister in her biological family called Emmeline who was extremely powerful with Psychokinesis. Their parents gave them to the Re-establishment for scientific experimentation. Juliette did not seem to be gifted so she had her memory wiped and she was adopted out. The Supremes were aware of the abusive behavior of her adopted parents when her power manifested. Emmeline was tortured for years. Warner realizes that torturing Emmeline was one of the things Warner had to do to become the leader of Sector 45. He was 16 at the time and desperate to be near his mother. The Re-establishment looked for other ‘Unnaturals’ and used them to take control of the world. Castle tells Warner that Emmeline is still alive and so are their parents. He says Juliette’s parents are coming for her. The experiment is over, and they are going to take Juliette back and put her in another facility or kill her. 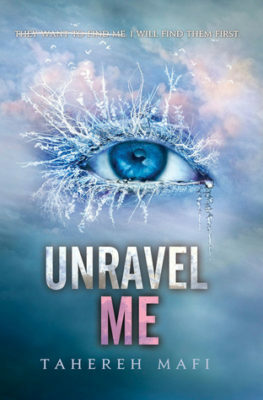 He tells Warner he must tell Juliette everything before she finds out from someone else. He also says he never shared Juliette’s history with Kenji. He also says that the rebellion is much bigger than just Omega Point. Warner spends the night going through his father’s records and confirming what Castle has told him. Nazeera visits Juliette in the hospital and tells her everyone is lying to her. Juliette is really out of it and doesn’t respond. In the morning, Juliette is much better but thinks the sun is very bright when it is actually snowing. They believe there is still poison in her system. Warner is trying to confess everything to Juliette, but she distracts him with nakedness. Afterward, he finally tells her, and she runs out horrified. Kenji comes in to find out why Juliette is so upset. He finds Warner naked on the floor having a panic attack. Apparently, he suffers from anxiety! Warner takes too much medication and tells Kenji everything. He also mentions that Juliette is not his first girlfriend. Kenji asks if he has told Juliette that, he says no because she never asked. Delalieu knocks on the door and says the daughter of the Supreme Commander of Europe has arrived and is livid that she is being kept waiting. Warner tells Kenji, this girl is his ex-girlfriend. Juliette has run off base into an unregulated area. In a fury of rage and betrayal, she destroys a school bus, accidentally projecting her powers. Nazeera appears. Nazeera can fly. Nazeera tells Juliette they have met before but won’t say when or where. She tells Juliette that Lena Mishkin, daughter of the Supreme Commander of Europe, was with Warner for TWO YEARS! She was deeply in love with him, but he wasn’t affectionate with her, and he broke her heart. They split up eight months ago. Nazeera tells Juliette that last year, her father put Haider through some intense training and he became suicidal. Warner was the friend who pulled him through. Haider feels betrayed that Warner has turned his back on them. Nazeera tells Juliette the Supremes are not just coming to destroy her, they are planning to kill everyone in Sector 45. Juliette goes back to base and moves into Anderson’s old rooms. She finds his Scotch collection and drinks a glass, neat. She shears off her hair. Kenji and Warner find her drunk. Warner puts her under a cold shower, she invites him to join her, but he doesn’t. He puts her to bed. Next day there are more children of Supreme Commanders to meet. Stephan Feruzi Omondi, son of the African Supreme and twins, Nicolas and Valentina Castillo. Lena introduces and mocks Valentina who is a transexual, born male. There is no representative from Oceania as they have no children. Warner speaks to Juliette outside the room and apologizes. He tells her he made a mistake not telling her. He doesn’t really know about relationships. He kisses her, and then she runs from him. They go to the symposium almost all of her supporters go with her. The 554 other sector leaders plus wives and guests turn up. She gives a speech denouncing the Re-Establishment, and someone shoots her in the forehead. The bullet doesn’t penetrate, and she peels it off. More shots are fired. Brendan dies. Juliette screams, and all 554 Sector leaders plus guests drop dead in a mass of blood. Juliette is lying on the ground in a net of electric wires. Her powers don’t work. Alia, Lily, and Ian are dead. Castle is hit. Kenji is hit and dragged away. A woman says to her “you’ve done beautifully.” It’s Juliette’s biological mother. She is with Juliette’s father. She tells her that they have come to take her home. Mum is the Supreme Commander of Oceania. Cut to Warner’s chapter – the pages are blank. How does Restore Me end? Juliette wakes up in a child’s bedroom for two. She has electronic cuffs on, preventing her powers. Half the room is pink and half purple. There is a desk with letters inside from Anderson to her parents about her – known then as Ella and Emmeline. There are photos of the two sisters. In some of them, she is with Nazeera and Aaron Warner. Mum comes in and tells her to come out and have something to eat. She faints. There you go! That’s what happened in Restore Me. Hope you enjoyed this recap of Restore Me with spoilers. 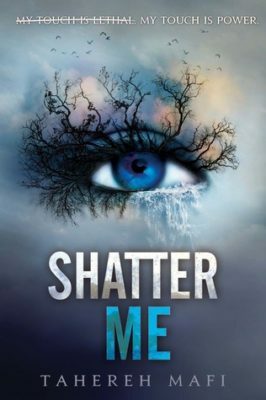 Ready to read or re-read Restore Me or the other books in the Shatter Me series? Click to buy and help us pay for hosting! Oh and share this with your friends who might like to read a recap of Restore Me.